A1 Drains have been keeping Dublin drains clean for over 30 years and our specialist drain cleaning is often only regarded by many as an Emergency Service, when we get called out to clear blocked drain in Dublin after a problem occurs. It’s also important to understand the benefits, both financial and convenience related, that regular maintenance of drains provides. We are happy to discus your individual requirements, asses your current situation and advise on suitable intervals for drain cleaning work required. The majority of work we carry out in relation to drains is the clearing of blockages with our High Pressure Jetting System. Our vehicles are fitted with onboard units that produce a very high pressure flow of water to the jetting heads, which are fed into the drainage system. These high pressure jetting heads can be propelled up to 100 metres through the drainage system to locate any obstructions and disperse any blockages. Depending on the particular service required, our high pressure drain jetting systems can be adapted by the use of specialist drain jetting heads. These specialist drain jetting heads have been designed for the De-Scaling of pipework or for the removal of Grease Build-up from the drainage system. Some blocked drains are not caused by the usual suspects, but by plant roots invading drainage systems in search of moisture and nourishment. 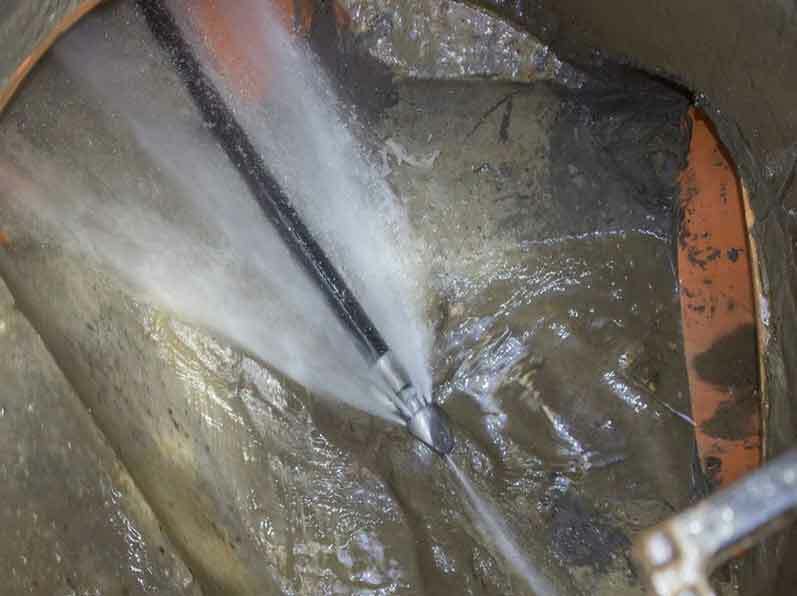 A special mechanical drain clearing unit that spins at high speeds is used on these occasions to break down the root cluster and flush the remains away. This system is also used on other stubborn blockages when they prove difficult to shift.